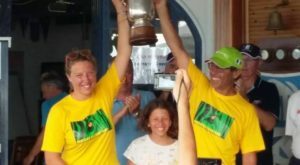 Ernesto Rodríguez and Kathleen Tocke powered by DB-R1 are the 2018 Western Hemisphere & Orient Champions. 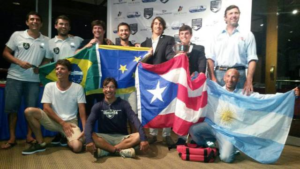 The Championship was held in Buenos Aires, Argentina. 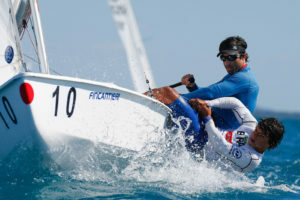 The two Champions won after 10 races even if they had a difficult start since they couldn’ t race the first two races due to some healthy problem. 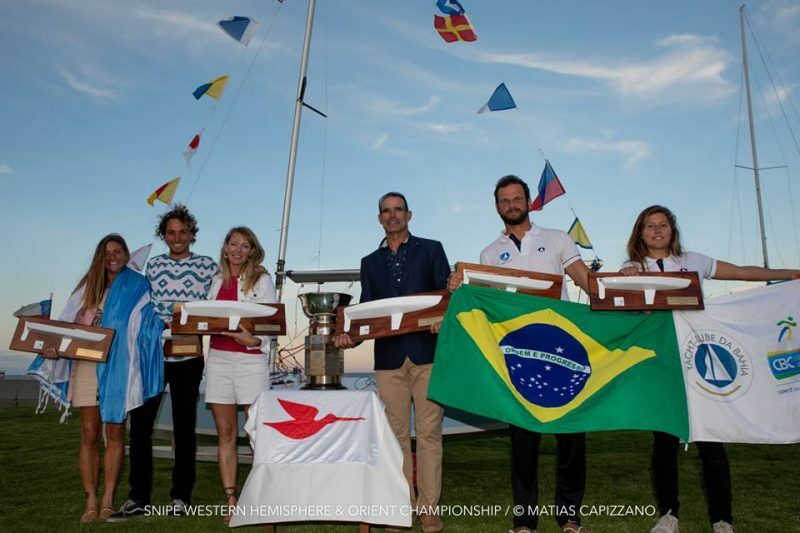 The brazilian team with Juliana Duque and Rafael Martins placed second and third came the argentine Lucho Pesci and Barbara Brotons. 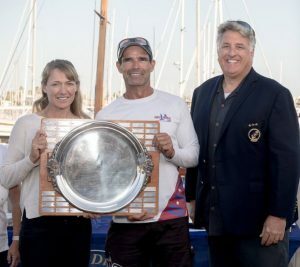 Ernesto Rodriguez and Kathleen Tocke (USA) won the 2018 North American Championship powered by DB-R1. 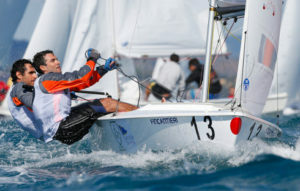 They were followed by Matías Seguel and María Jesus Seguel (CHI) in second and Doug Hart and Cragan Smith (USA) in third powered with DB-R1. 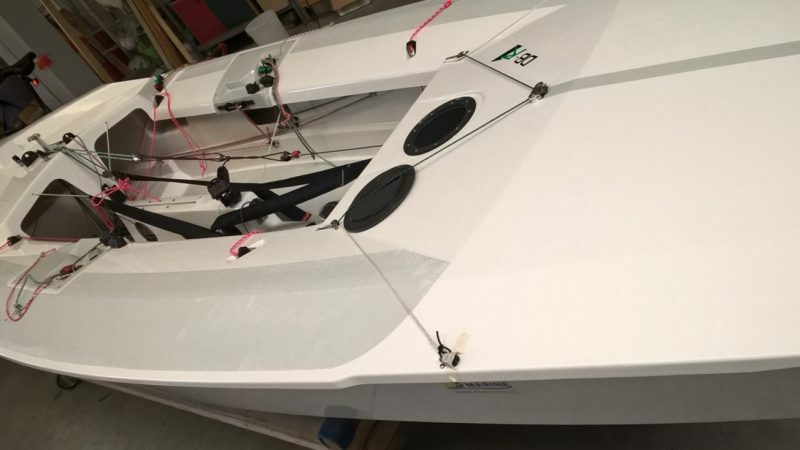 CHARTER BOATS DB-R1, PRODUCTION 2018 , READY TO RACE ON SALE AT DISCOUNT PRICES AND AVAILABLE AFTER THE WORLD MASTER CHAMPIONSHIP IN VILAMOURA. POSSIBILITY OF WITHDRAWAL IN VILAMOURA AFTER THE WORLDS WITHOUT EXTRA TRANSPORT COSTS. 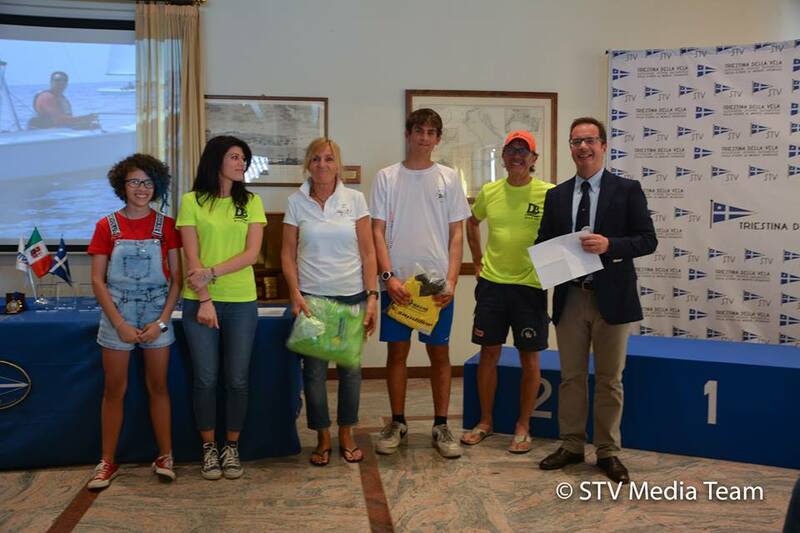 Notwhitstanding the perfect organization of the organizing club, Società Triestina della Vela, which we would like to thank, only one race was concluded after two days of races. Therefore the Sergio Michel Trophy – South European Championship could have not been awarded for not having the minimum number of races (3) foreseen. At the end of the of the only race there were 3 DB-R1 on the podium and 5 in the first 6 places. 1st Ernesto Rodriguez and Kathleen Tocke (USA) with DB-R1 Ltd Ed. 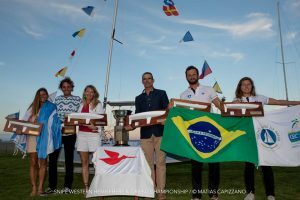 The 2018 Snipe World Master Championship will take place in Vilamoura, Portugal from 24th 30th June 2018. We will be there with our own charter fleet, ready to assist all participants for any need and to sell rigging and fittings. Contact us in advance for any possible fitting’s order which will be delivered to you there without extra costs. Our charter fleet ( DB-R1 produced in 2017 and 2018) is on sale at discounted prices. Please contact us for more info in case you are interested. 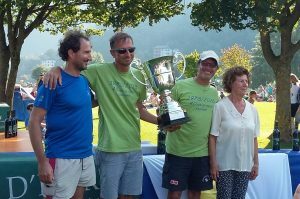 Raul Rios and Mac Agnese won the 2017 Snipe World Championship held in A Coruna (Spain) on their DB-R1 Limited Edition! Ernesto Rodríguez and Katleen Tocke won on their DB-R1 Limited Edition the 2016 Master Snipe World Championship held in Nassau (Bahamas). 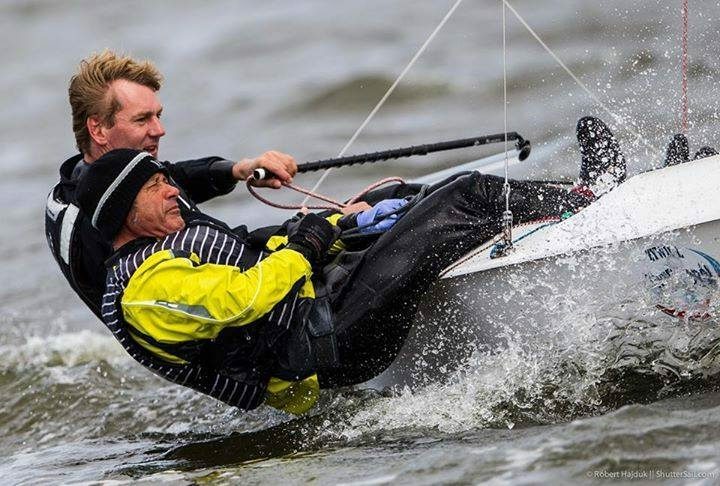 C ongrats to Rafael Gagliotti and Enrique Wisniewiski. 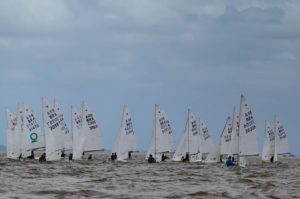 placed third at the Brazilian Nationals 2018 with their DB-R1! Well done guys! 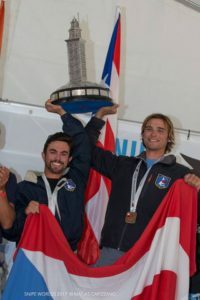 The Paradeda brothers placed first (Alexandre Paradeda and Luca Mazim) and second ( Roberto Paradeda and Phillip Grotchmann). Congratulations! 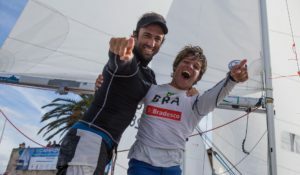 Congrats to Rafael Gagliotti and Henrique Wisniewski who placed second with DB-R1 at the Campeonato Paulista 2017!! 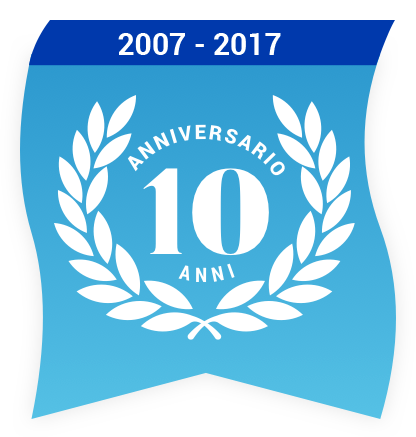 This is the 10th Italian Championship won by Enrico. “Winning my 10th Italian Championship 27 years afer my first one, placing one point after Champions like Augie Diaz and Alexandre Tinoco it has been a great satisfaction for me. Nothing compared to the joy for so many messages of appreciation and affection I received in these days on facebook and personally. Thanks to everybody from the deep of my heart. 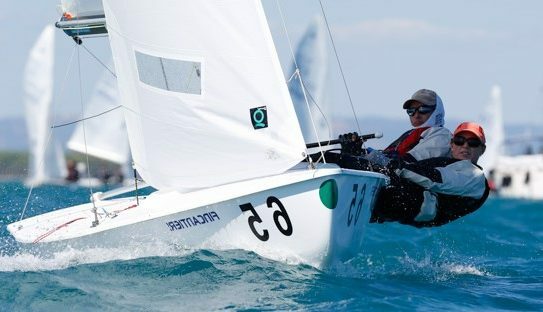 Thanks above all to Antonia Contin who with her enthusiasm and her loving to do and sail was the real “engine” of our boat ” . 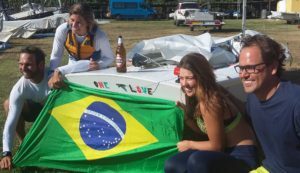 Juliana Duque and Amanda Sento Sé (Brasile) won on DB-R1 Limited Edition the “Women’s Snipe World” 2016 held in Bracciano (Italy). Mateus Tavares and Gustavo Carvalho (Brasil) won on DB-R1 the Snipe World Championship 2015 held in Talamone (Italy). 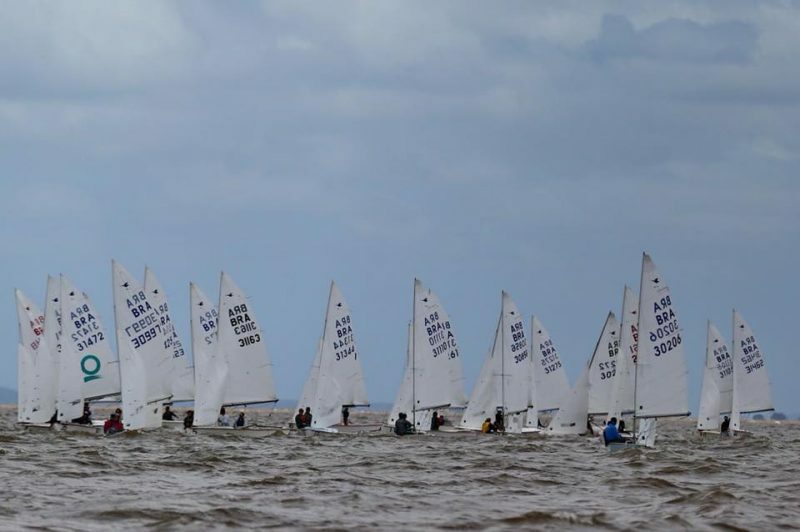 A great success for our DB-R1 fleet with 3 boats in the first 5 places of the final chart and 5 n the first 10! DB-R1 placed first and second!! Emmanuel Hens and Enrico Michel (DB-R1 BEL 31174) placed first, Damian Borras and Carlos Bats (DB-R1 ESP 31112) second. Raul Rios and Fernando Monilor (PUR) won the W&OH 2014 with their DB-R1! 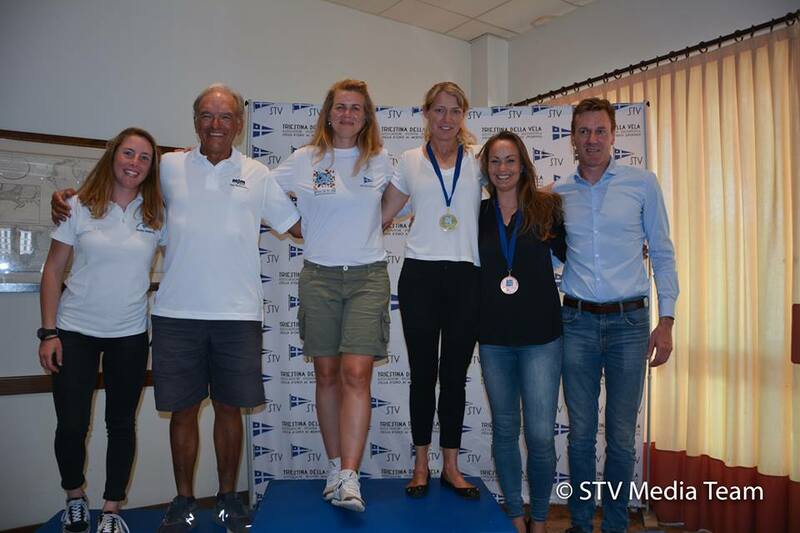 Augie Diaz and Justine O’Connor won on theur DB-R1 the Snipe Master World Championship 2012 held in Santiago de la Ribeira (Spain). 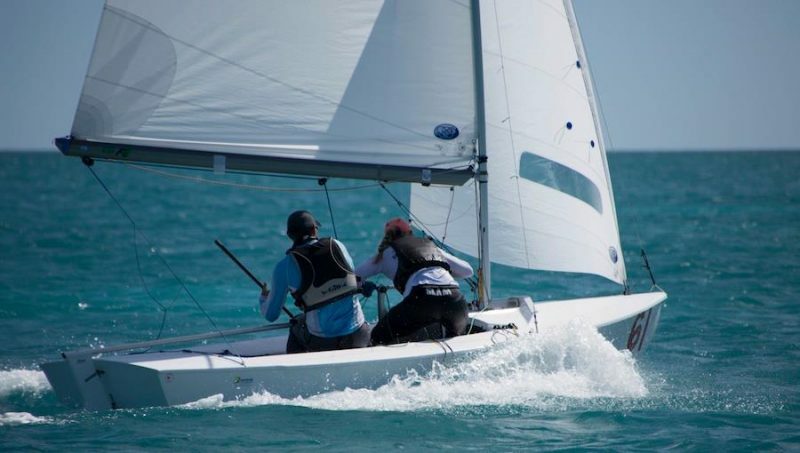 “By the way, at the Pan-Am Games, the new DB Snipes were 1,2,3, with my 1998 Persson 4th (Colombians sailing it). 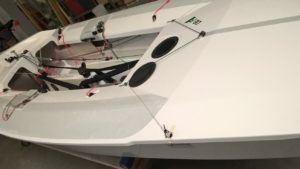 At the North American Champs, the new DB boats were 1,2,4, with me in my 1998 Persson third.